Did you know that along with today being Easter Sunday that it’s also National Citrus Day? Yep, it’s true and in order to celebrate, this weeks #SundaySupper is all about citrus fruits and what they can bring to both sweet and savory dishes and desserts. For me, when faced with the question of sweet or savory, I will nine time out of 10 pick savory which is why I picked this recipe to share. I found it in a Southern Living cookbook and then tweaked the heck out of it so it no longer resembles the original in any way, shape or form except that it still has chicken, citrus and ginger. Seeing as how it’s still a bit nippy here in the Midwest, I also brought the cooking process from the chilly outdoor grill to the warmth and coziness of the kitchen to make it into an Asian inspired stir-fry dinner. 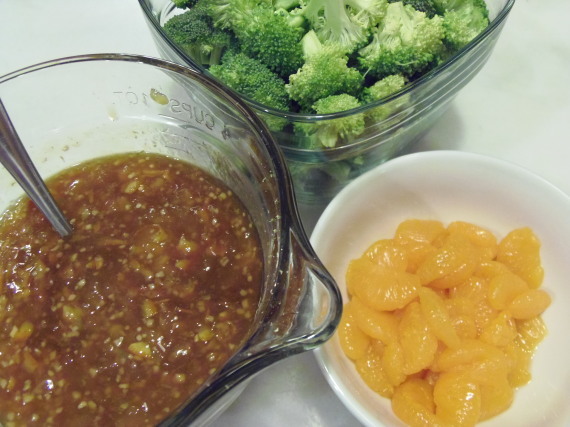 I was very pleased with the results, and the flavors combined with the citrus, fresh broccoli and garlic was simply divine. 1 can (11 ounces) mandarin orange segments, drained. 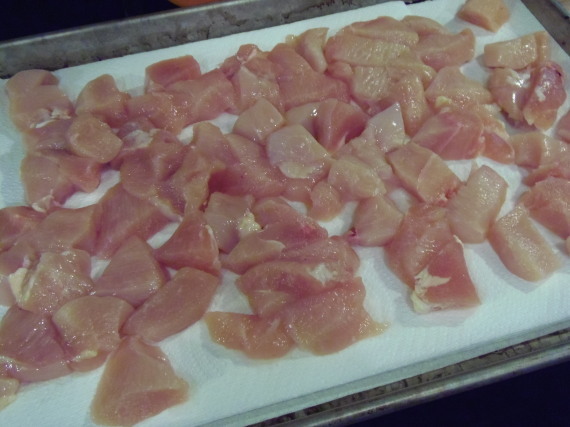 -Pat the cup up chicken dry with paper towels and season with salt and pepper. 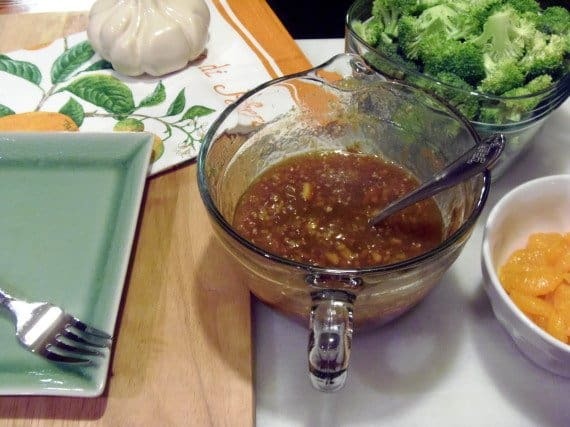 -Heat a wok or large skillet to medium high and add half the peanut oil. 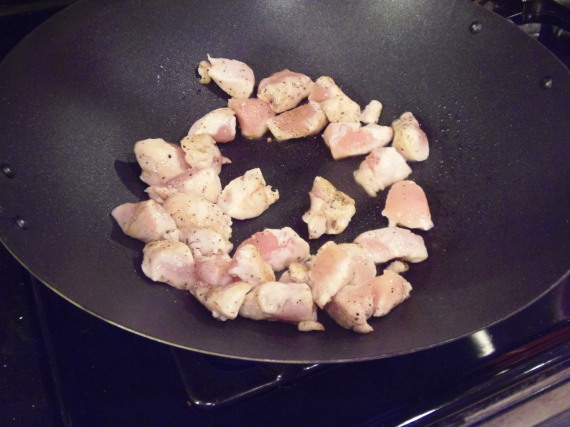 -Brown half the chicken in the wok at a time (stirring occasionally). Remove and keep warm. -Continue browning the second batch of chicken the same way. Remove. and keep warm. 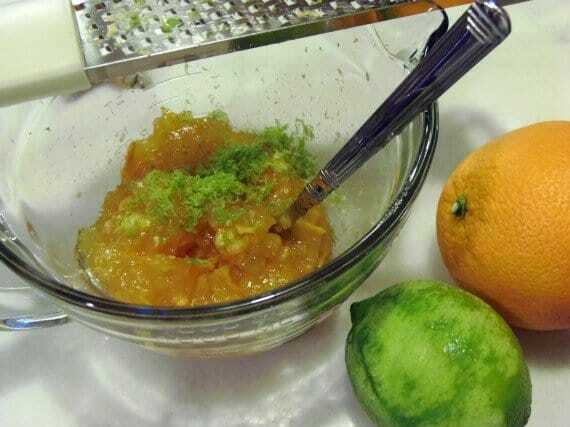 -In a medium bowl, combine the orange marmalade, lime juice and zest, orange juice, garlic, ginger, teriyaki sauce, coriander, salt and pepper. Stir well to combine. Set aside. 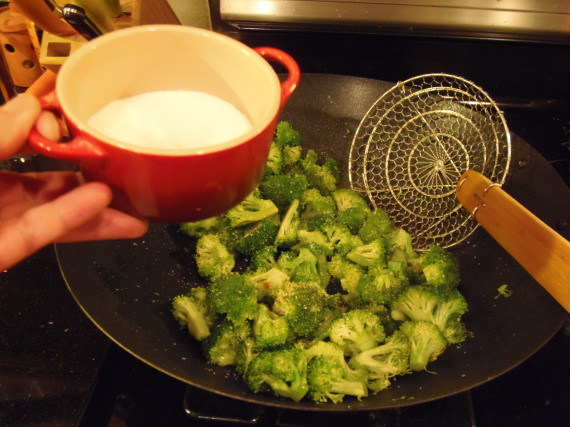 -Reduce the heat of the wok to medium and add more peanut oil and the broccoli. Season with salt and pepper. Stir occasionally. -Cook for 2-3 minutes so it’s crisp tender. 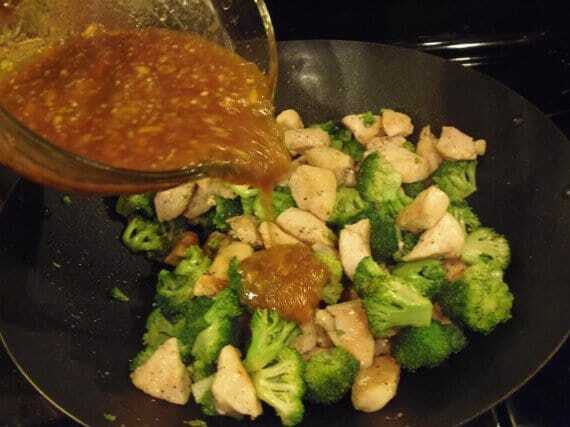 -Add in the orange marmalade sauce and cook in the wok until the chicken is cooked through (approximately 5 minutes). -If you like you can add a little cornstarch to 1/2 cup of water to thicken the sauce. 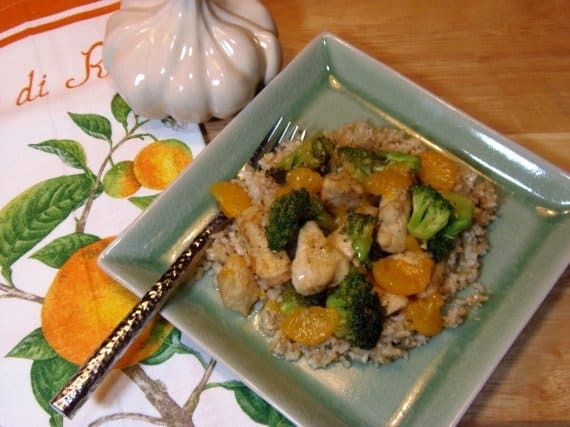 -At the last minute add in the mandarin orange segments and serve over brown rice. I hope you’ve enjoyed this recipe and all the other recipes involved with this weeks citrus #SundaySuppers. The links are below with everything your little citrus loving hearts could ask for! That sauce has me drooling! Thank you so much for participating today! This sounds delicious. I love a good stir fry. Mmmmm…this is definitely my kind of meal. I think citrus and ginger were meant for each other! So many good flavors together! A wonderful spring recipe. This sounds wonderful! I'll have to make it when the sun eventually decides to show itself here! Love citrus and ginger together. Your dish sounds great. Thank you for sharing! I hope your weather warms up soon for you too. Great combo and love that you used lime zest too, I bet it tastes great. This looks great. Orange and ginger go so well together, I made an orange and ginger cake once. I really do need to get a wok. I don't know why I've gone this long without one. Recipes like this make me want one even more. There's a lot of good stuff going on here–I can't wait to try this! Oh my gosh this is fabulous. 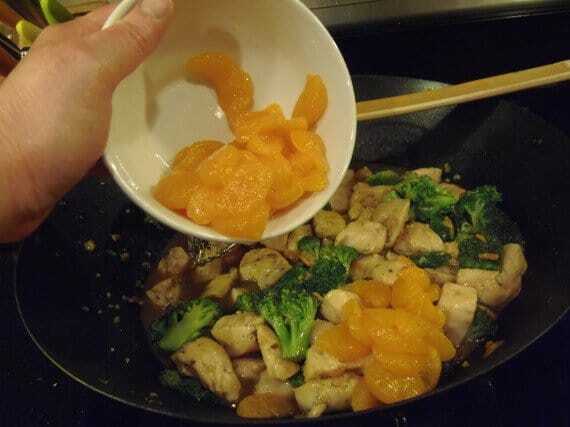 One of my fave combos for a stir fry. Yum! 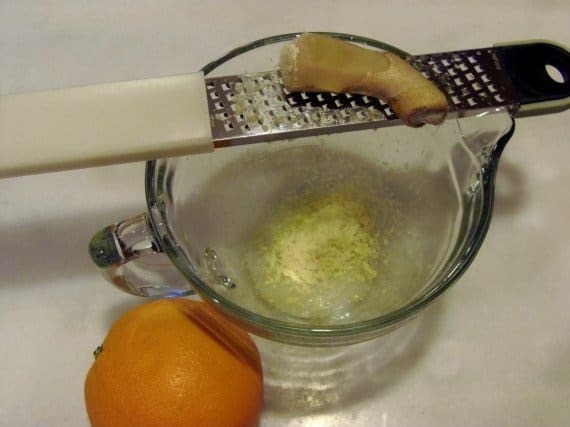 Ginger is an absolute favorite of mine, and it pairs so well with citrus! What a great dish…thanks for sharing! What a great recipe Renee! Love the combination of citrus and ginger… can't wait to try it! This recipe sounds so good. I love a good stir fry recipe. Can't wait to try it. Renee, this looks freaking amazing! 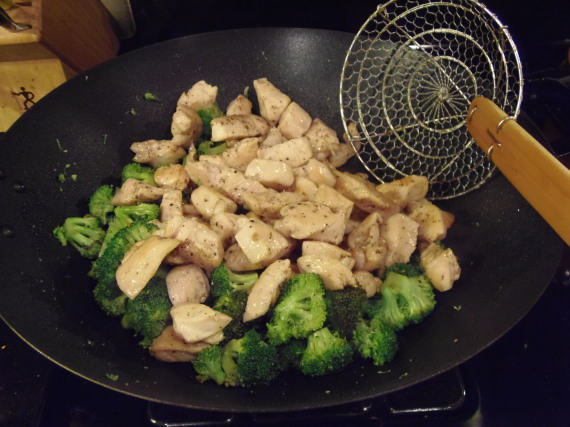 I love making stir-fry – it's easy and delicious, the most onerous part is the food prep. These flavours are all fabulous on their own and I can only imagine how yummy they were together in this bright, vibrant dish. This looks and sounds wonderful. Love the photo of the sauce! Hope you enjoyed a wonderful Easter weekend Renee. It's still a bit nippy up here as well (darn winds) though only snow left in the wooded areas! This recipe looks delicious! 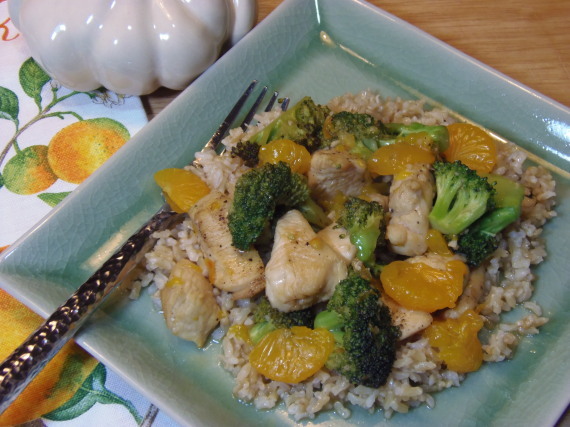 I love a good stir fry recipe and ginger always takes it up a few notches! Love this! yumm ! Great pics too !